BEACHES IN PORTO: WHAT TO VISIT? 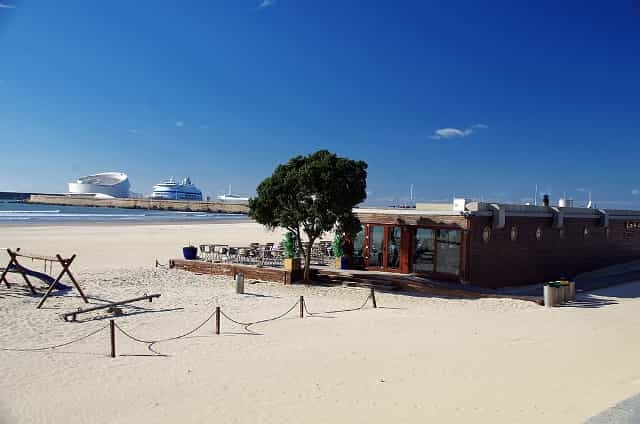 What if, during your visit to Porto the weather is good and ... you give a jump to the beach? In fact, beach and Porto is not the first association we do when we think about the northern city, but the offer is varied and, for those who travel with children it is an option that can’t be discarded. In the Foz area, you will find the beaches of the city that, although they are not very big, can provide great moments of fun and tranquility for the whole family, catch some sun and, of course, go to one of the numerous esplanades. If you made the trip by tram on line 1, which we recommended to discover the riverside area of Porto, you will first arrive at Ourigo Beach. Despite being a small beach, this is a blue flag beach, synonymous with quality, safety, support infrastructures and environmental awareness. It is an ideal place for a stopover on one of its terraces. Right next to Ourigo Beach you will find the Ingleses Beach, one of the most popular among Porto's. The 86 meters of clear sand, allied with the safety of the blue flag, makes this beach a safe retreat for those who have children. Despite the many families that frequent it, it is a very quiet beach where you can rest peacefully. It is a rocky beach, but with great accessibility. It was the first beach in Porto to receive the blue flag, a symbol of quality and safety. Do not forget to take a picture next to the bronze statue that pays tribute to the fishermen who used Homem do Leme Beach to go to the sea. Despite the short sand area, Molhe Beach is probably the one that offers the best conditions for swimmers. It is an iconic beach, immortalized in several holiday postcards by its breathtaking views. In addition to the blue flag, it was also awarded the Golden Beach Award. However, it is their modern terraces that attract most of the visitors. Like Gondarém Beach, this one also has blue flag and the Golden Beach Award, by its excellence. Try to visit it during the low tide, when the two stone pontoons dating from the 19th century are visible. 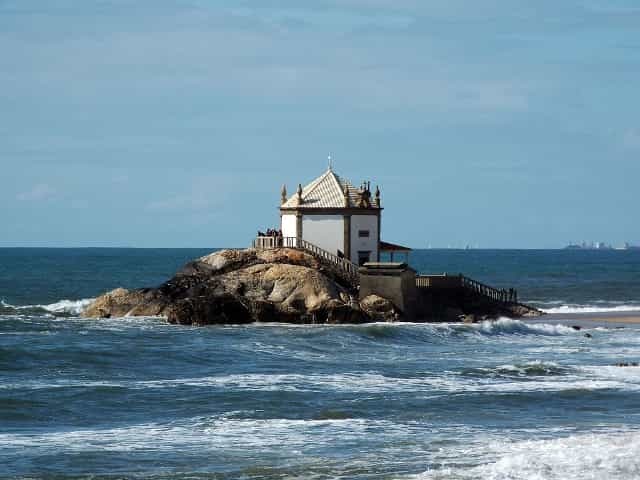 Its name is due to the proximity of the chapel dedicated to Nossa Senhora da Luz and, of course, to the lighthouse and fort that were built nearby. 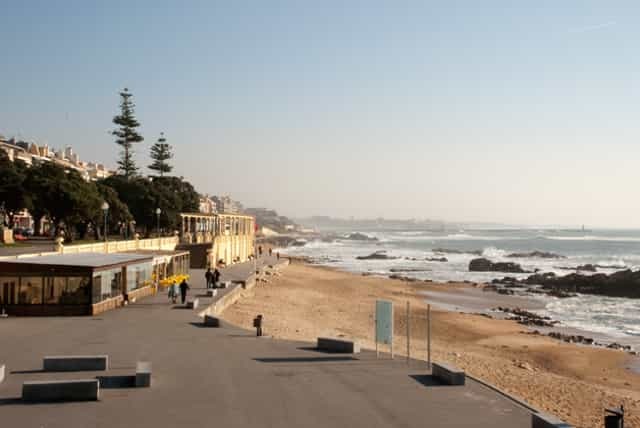 The beaches of Porto are characterized for being small and therefore more familiar, ideal for spending a good time with your family, catching some sun or going to one of its many terraces. 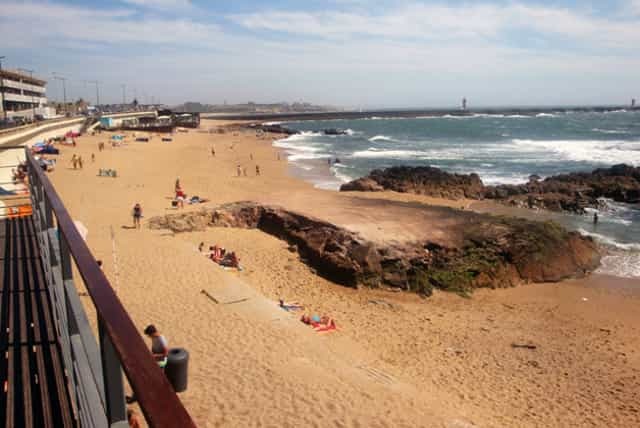 But if you are looking for beaches with more extensive sand areas, then we recommend the Matosinhos Beach, right next to the São Francisco Fort (Castelo do Queijo).It is a very popular beach for surfers but is also ideal for those who like to practice sports on the beach or stroll along the sea. There are also several esplanades, restaurants and ice cream shops, plus a series of activities in which you can participate. If your stay in Porto allows you, you should visit the beaches of Vila Nova de Gaia, on the other side of Douro River. A large part of them with wide sand areas and all with excellent quality (blue flag). Besides being an ideal beach for surfing and practicing other water sports, it is impossible to talk about this beach without mentioning the religiosity of the people of Vila Nova de Gaia. You will find on the beach the magnificent Chapel of the Lord of the Stone, which plunges by the ocean in an example of an incredible religious architecture. 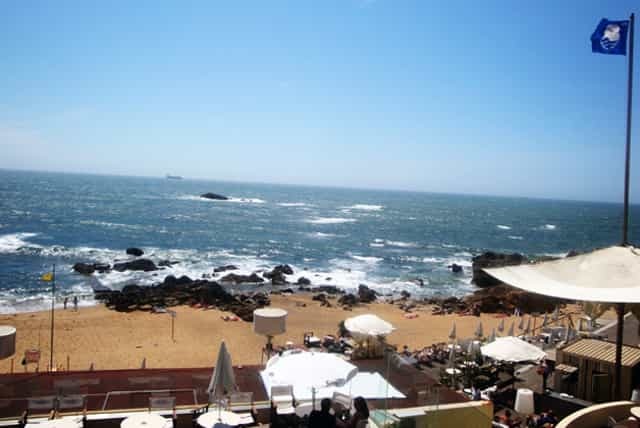 The Francelos Beach is another offer of Vila Nova de Gaia. With its vast sandy beach, it is also a blue flag beach, where you can take long walks along the long sea. But you can also rent a bike and go on a two wheel adventure. The Beach of Francelos has the tradition of being a beach whose waters have curative powers. 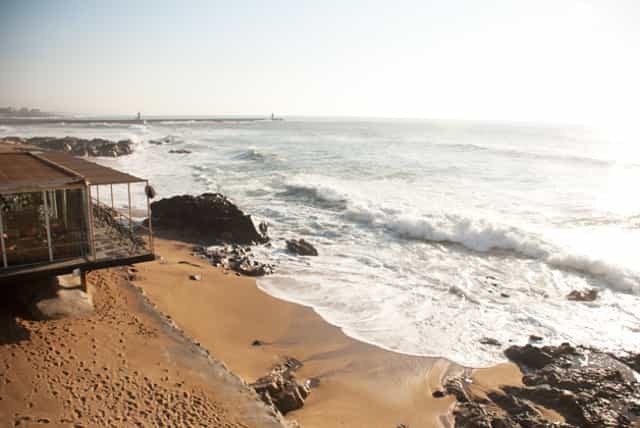 Our last recommendation in Vila Nova de Gaia is the Aguda beach, already on the way to the city of Espinho. It is the one that has the most extensive area of sand and also the strongest waves. The surfers love it, but also the submarine fishing’s fishermen, since it is rich in marine species in its rocky bottom. Finally, we can’t finish without mentioning the beach of Leça and the Piscinas das Marés. 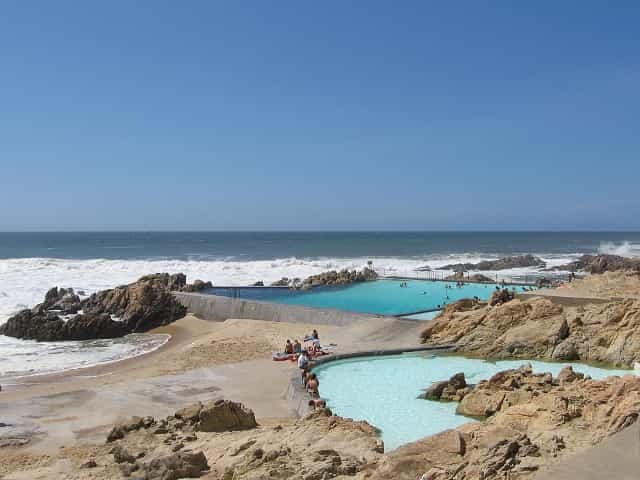 These are a set of salt water pools, ideal for those who love the sea. It is a fantastic work of architecture, signed by Siza Vieira, the first Portuguese Pritzker, who also designed the Museum of Serralves Foundation. Here you will find several swimming pools including one for the children, which is ideal for those who travel with kids. The complex has several support infrastructures as well as a unique view of the sea and the beach.